Most of Lucas’ inspirations for the iconic franchise are obvious and well-documented, like Joseph Campbell’s hero’s journey, and action and sci-fi serials like Flash Gordon. One of the biggest inspirations, however, is something Lucas doesn’t talk about too often. Something more personal. In fact, his long time producing partner didn’t even really know about it, as she described above in an interview with Entertainment Weekly. The issue was a conflict Lucas had with his father, George Sr. The elder Lucas ran an office supply store in Northern California, and he hoped his son would take over. The young George Lucas preferred fantasy, adrenaline, and drag racing. “I said, ‘I will never go to work every day doing the same thing day in and day out,’” Lucas told USA Today in 2008. 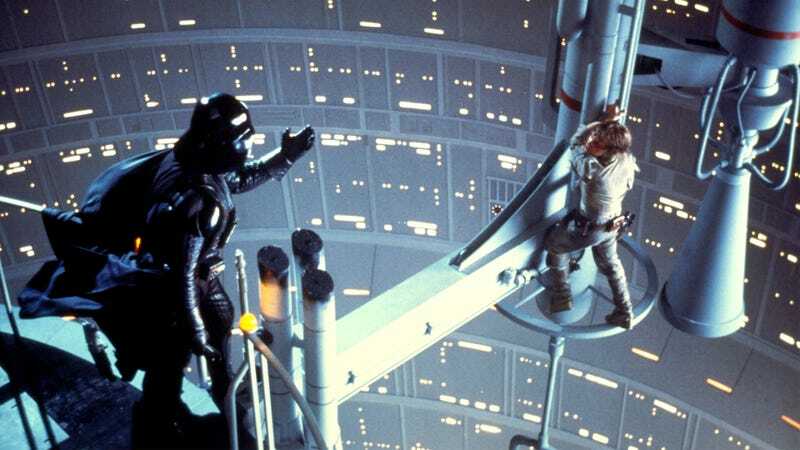 The theme of rejecting a father’s wishes is embedded deep in Star Wars. Luke refuses to join his father’s side, Anakin rejects the Jedi way of his mentor. It’s a story that Lucas wanted to continue in Star Wars: The Force Awakens, but Disney didn’t necessarily agree. To be fair, we don’t know that The Force Awakens isn’t about the descendants of Skywalker. In fact, most rumor hunters believe it is. Lucas definitely sounds a little upset that he was so far out of the development. Case in point? He isn’t even named on the official poster. However, director J.J. Abrams agrees that was an issue. “I don’t know why it isn’t on the poster, but it’s a valid point. I’m sure that that will be a credit in the film,” the director told EW. “We are standing on the shoulders of Episodes I through VI. Seems like, after nearly forty years, the tables have turned and Lucas, finally, finds himself in the father role.